We hope you are as excited for the Kat Perkins September 7 concert as we are! Her performance on August 22 was absolutely fantastic and we can’t wait for you to see the concert everyone is raving about. Enjoy a Steak after the Concert! Due to popular demand, we’re offering the Pitchfork Steak Fondue on September 7, after the Kat Perkins Concert. 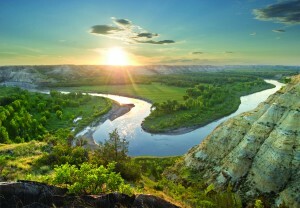 Enjoy a great dinner with steak fondued on a pitchfork, western style, overlooking the Badlands. Plus, the Pitchfork Fondue is only feet away from the concert! 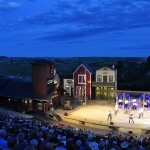 There are many exceptional dining experiences in Medora! The most unique is the Pitchfork Steak Fondue. Where else can you savor a fondued 12 oz. 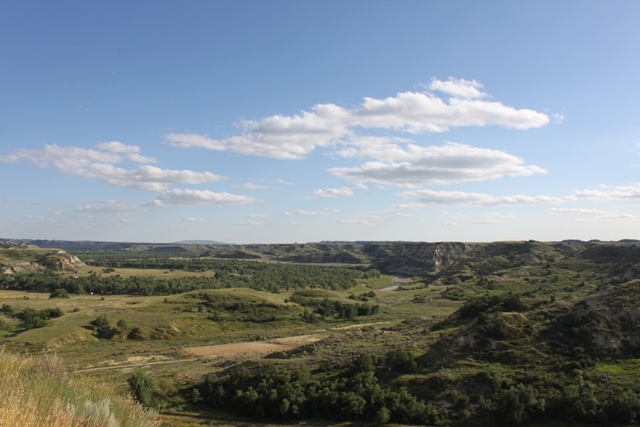 rib-eye steak as you overlook the Badlands from atop a bluff at the Tjaden Terrace. 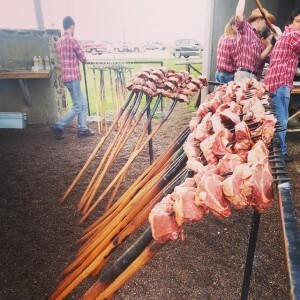 We might be a little bias but Beth Schatz Kaylor who writes the fabulous blog Rhubarb and Venison agrees, the Pitchfork Fondue and the Medora Musical make for a wonderful evening! 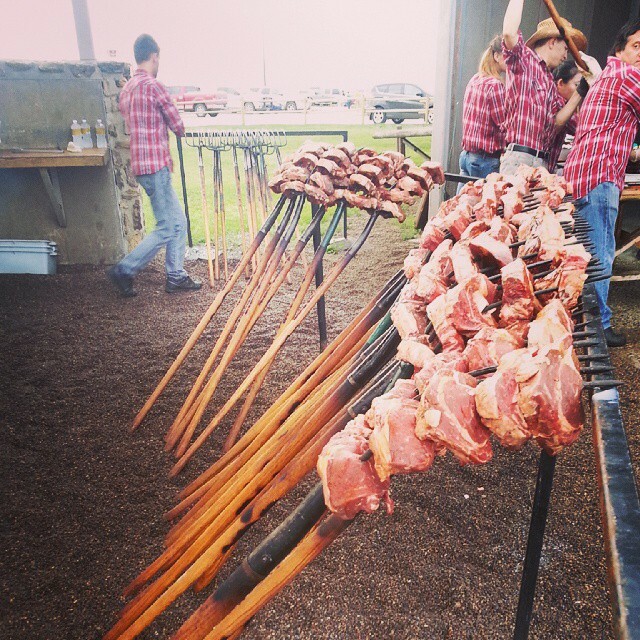 Here are a few snippets from her recent post about the Pitchfork Fondue and Medora Musical. “Deep fried steak. That’s supposed to be the star attraction at the Pitchfork Fondue in Medora, ND, but I’ve gotta tell you, although the steak is great, the view from the Pitchfork Fondue dining area is simply spectacular. Bring your camera. 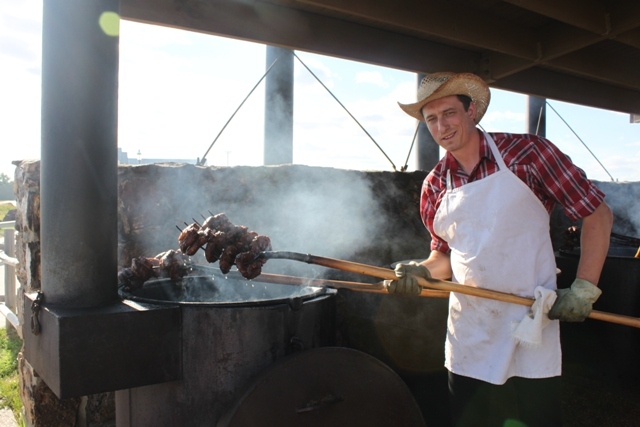 You can read Beth Schatz Kaylor’s full post Pitchfork Fondue in Medora, ND here! Medora, N.D. – Acrobat golf comedian Joey O will perform nightly in Medora July 13-28. His performances will start at 7 p.m. MST at the Tjaden Terrace during the Pitchfork Steak Fondue. Cost is free, and performances are open to all. An acrobat with masterful motor skills and an entertainer with motivating words of encouragement and self-belief, Joey O will amaze and inspire audiences young and old. For more than two decades, this motor-skill genius has made people smile and laugh worldwide, performing with Bob Hope at the Bob Hope Classic to the Hawaiian Open and as far away as the Hiroshima Open in Japan, as well as appearing with Tiger Woods on the Tonight Show. More information about Joey O and his performances at Medora can be found at: www.joeyogolf.com and www.medora.com/events/?Joey-O-performs-at-the-Tjaden-Terrace.